No airflow adjustment in this vent. Features a horizontal directionally adjustable vent grill. Give your dash some class with these distinctive oval-shaped A/C vents. 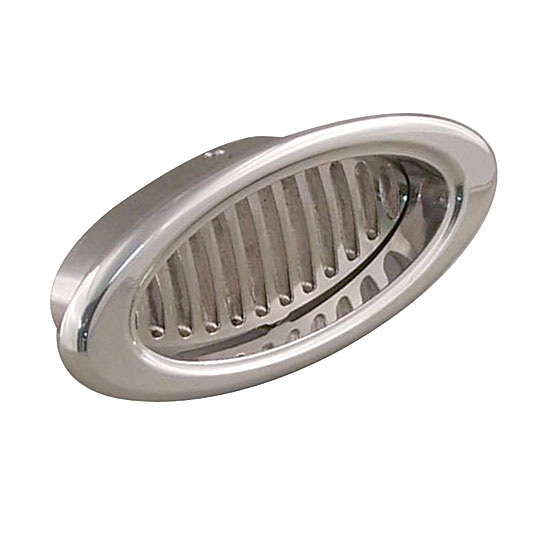 They feature machined billet aluminum bezels with stainless steel vents for easy upkeep. Features a single-outlet vent and a radiused bezel. Vent accepts standard 2-1/2" A/C hose and includes brackets. Bezel measures 4-1/8" x 1-3/4". Pat gives some tips about choosing the right fan for your application. The benefits of using dual electric fans vs a single fan, and the steps on wiring them into your car.